I will explore the use of higher volume training and how it can be used reasonably to help produce muscle gains. For those of you who know my writing this article will seem like the total opposite of what I normally preach for muscle gains. In this article I will explore the use of higher volume training and how it can be used reasonably to help produce muscle gains. First let's define what Cumulative Fatigue Training is. This is the act of performing a number of sets at a given weight for the same number of reps until you fail in your attempt to get the prescribed rep number. It is most commonly used in a paired sequence like 6x6 or 5x5 or 3x3. Though it doesn't have to be this type of set up these seem to be the most common. In traditional HIIT (High Intensity Interval Training) programs the idea is to train to absolute failure in one to two sets and then move on to the next exercise in your routine. My general thoughts are that HIIT works exceptionally well for causing muscle hypertrophy, i.e. 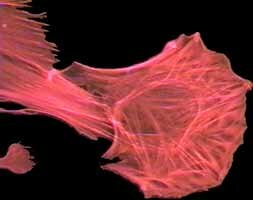 the thickening of muscle myofibrils. However there are other ways in which you increase the size of a muscle. It is true that hypertrophy is the main cause of muscle growth but muscular size can increase by at least three other means: increase number of blood capillaries, increased affinity for energy substrates like carbohydrate and hyperplasia or splitting of muscle cells. We'll talk a little more about the last point later. For now let's concentrate on the two that we know can occur. The first point, increased capillary volume, is caused by inducing a pump in the target muscle and holding it there for as long as possible. This is where HIIT can sometimes fail. Because HIIT is notoriously short in duration, especially on a per muscle basis, there isn't always a large pump induced in the muscle. By inducing a large pump the capillaries are gorged with blood inside the muscle which increases its size temporarily. If the is extended and/or increased it may lead to a permanent increase in blood volume in the muscle over time. It's difficult to predict the amount of growth possible via this mechanism but I believe it is substantial. Granted this would be a purely aesthetic gain since the added blood volume would do little to increase the strength of the muscle. 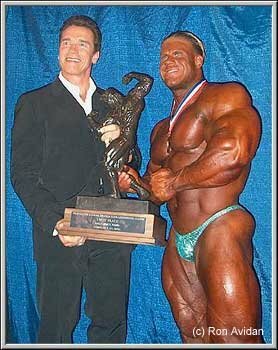 If, like me, you are an appearance first lifter, i.e. bodybuilder then this is exactly what you are looking for. Massive muscles are the name of the game. Strength is merely an ego-feeding side effect. The second point is that of increasing energy substrate. One of the affects of volume training is that it increases the muscle's affinity for energy components both intracellular and extra cellular. If more energy is stored it takes up more space and therefore the muscle becomes larger. The reason this happens in volume training is because the muscles are adapting themselves to longer periods of anaerobic work. In order for this form of work to be carried out for longer periods of time more energy must be stored in the form of glucose and the energy utilizing components, like the mitochondria, must become more efficient at using this extra energy. In the muscle cell, glucose is stored in long chains called glycogen. 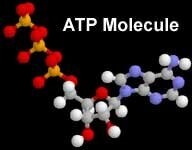 If the balance of any of the primary constituents of the muscle is upset, as in the case of storing extra glycogen, the body adapts by upping the rate of storage of all of the other components of muscle tissue: creatine, fat, water and protein. The increased storage caused by training is done by maintaining a medium intensity over a longer period of time. The supplement creatine creates much the same effect but by a different mechanism. When intake of creatine is increased the excess is stored. Creatine is in itself a carrier of phosphate, the primary energy precursor (phosphate is the removable component of ATP, the energy source for all body functions.) It also gets stored to a large extent in muscle tissue and draws a lot of water with it. Again when the balance is upset other substrates follow suite thus causing muscle growth. The use of creatine as a supplement is ineffective without the application of resistance training. In order for the supplement to be effective there has to be a created need for its use. Training creates this need. I state this because I have gotten questions from people who don't workout but heard about the ability of creatine to help them gain mass. It doesn't work that way, unfortunately. Another interesting side effect of such training is the possibility of causing hyperplasia, the splitting of muscle cells to form new functional muscle cells. The great thing here is that if you can split muscle cells you thereby increase the number of them available for growth. This would truly be a blessing as the ultimate size of a muscle is largely determined by the number of cells it contains. The verdict is still out as to whether or not hyperplasia actually occurs in adult human muscle tissue but why take the chance of missing out on an opportunity to increase the number of growing muscle cells in your body. Thereby allowing you to step beyond your current genetic limits. The few studies that do support hyperplasia have shown it to be linked to longer duration type activity such as: middle distance running and higher volume resistance training. This is where cumulative fatigue training comes into play. The first thing you must do, as compared to HIIT, is reduce your training poundage's by at least 10%. Without doing this you will be failing to get your reps on each successive set and will undermine the training protocol. I'm going to advise a 6x6 format where you use a weight that lets you fail on the 6th rep of the 6th set or as close as you can get. This means that instead of failing in the first or second set you will not truly fail until the sixth set. A volume increase of up to 6x that of traditional HIIT variations! Another idea would be to use a 3x6 format for two different exercises. Just make sure that you apply CUMULATIVE fatigue by not going to failure on each set. To failure training on each set would totally negate the value of the system and plunge most of you into the overtraining pit. This type of high volume training is much less demanding than traditional volume training because so many sets are done to near failure and not to absolute failure. It's important to understand this distinction. Another important component of CF training is time. For best effect keep time between sets to a minimum. I have found that about 1 minute between sets is a good resting time since you do not want to feel fresh for each set you perform. This also increases the pumping effect of the training as the muscle does not get time to totally flush the blood out before the next set has begun. In this time between sets you should stretch the worked muscle to allow for greater blood flow into the muscle. This serves two purposes. Stretching causes faster recovery which should allow you to use higher poundages. It also increases the pumping effect, which is also important. This system has one flaw that must be addressed. The volume that is required is more than most can tolerate for long without causing overtraining. For this reason CF training should not be carried out for any longer than 4-to-6 weeks. Any longer and many of the great effects it produces may be compromised. At the end of the four weeks you should switch back to a more traditional HIIT type system in order to further hypertrophy any new muscle fibers that may have developed and to accentuate the new found size gained. I also recommend cycling your poundages between each type of training. This simply involves reducing the poundages you are using by about 10-15% at the beginning of each switch and then taking 2-3 weeks to work up to maximum poundages again. This allows for a little extra recovery time and I have found it to allow most people to get more consistent gains over the long run. With all this in mind let's look at a possible training split. For this type of training I would recommend that you use a 3-or-4 way split routine training each body part a maximum of twice per week. I prefer to play it a little safe and stick to once per week per body part training. A reasonable split could look like this. Friday - Back, Traps, Biceps. Stick to only one exercise per muscle group, in the 6x6 format, with the exception of Back and possibly shoulders. For the Back use a chinning movement and a rowing movement to hit both the lats and the rhomboid muscles. For shoulders you should do some form of pressing along with a lateral movement to hit the lateral head of the deltoid muscle. All other muscles really need only one exercise. Ultimately you can decide what you need to adequately work each body part. But be careful with volume. If you notice your lifts beginning to plateau before the four weeks is up you should definitely back off a little and allow the muscles some time to recuperate. If need be you could take an extra couple of days off along the way to ensure full recovery and increase the overall outcome of the cycle. I can't decide what's best for you here. You need to do that for yourself. Just don't ever be afraid to take time off to aid recovery. Studies have shown that it takes a muscle about 6 weeks of training before any change in composition or size begins to take place. So if you feel you need it by all means take some time off. If that still doesn't help you may want to consider compacting everything down into a two workout per week plan. wheyAn article on this type of training wouldn't be complete without some talk about dietary changes. In order for there to be a maximum flushing of the muscles during this time there must be adequate carbohydrates supplied in the diet. A high protein/high fat diet will definitely affect the outcome in a negative way. So make sure that you get at least 60% of your dietary calories from carbs during this training cycle. Now dietary protein is also very important here so go for around 20% of your caloric needs in the form of high quality protein from milk, eggs and meats. That leaves around 20% of the dietary calories from fat. This is really not much different from most recommended bodybuilding diets except that many recommend a much higher protein intake. I highly recommend that you track your calories for several days before you start the program to find your starting point, the basic required number of calories in order for you to maintain your current weight. After doing this you should increase your intake by between 200-500 calories per day in order to provide the extra energy needed for weight gain. If you don't have the time or are unwilling to do the above record keeping you can estimate by multiplying your bodyweight by 15 for moderate activity people and 20 for highly active individuals to give you an estimated caloric intake for weight gain. For a 200 pound person the caloric intakes would be 3000 and 4000 respectively. That's it for the program. Try it out for four weeks and see what happens. You may burst the sleeves out of you favorite T-shirt just in time for summer. I am a bodybuilder at heart and not a powerlifter though I don't believe that there is anything mutually exclusive about being either.